Orbital’s Cygnus – on a SpaceX Falcon 9? 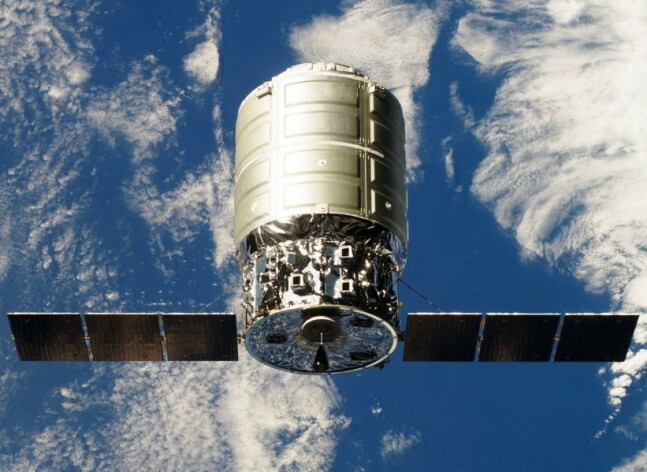 SpaceFlight Insider has received word that the potential prime “contender” to ferry Orbital Sciences Corporation’s Cygnus spacecraft to orbit, and thus allow Orbital to complete its requirements under the $1.9 billion Commercial Resupply Services (CRS ) contract – is none other than fellow CRS participant – SpaceX. If this turns out to be true, it would mean that both current CRS firms – would be flying on the same rocket. To help better determine the veracity of these claims, SpaceFlight Insider reached out to both Orbital and SpaceX. While the latter declined comment, the former stated that: When we’ve made a final selection of a launch vehicle and have finalized other details of the go-forward plan, we will announce our decisions publicly. While flying on a competitor’s launch vehicle might be viewed as awkward, the decision could boil down to one simple determining factor – cost. It has been estimated that a flight on a F9 would set a customer back $62 million. By comparison, United Launch Alliance’s (ULA ) Atlas V 401 launch vehicle, a booster with similar capabilities to the F9, costs an estimated $100 million per mission. Moreover, SpaceX has a proven track record with the Falcon 9. To date, the company has already flown to the International Space Station five times under the CRS agreement. The firm was awarded $1.6 billion to carry out twelve resupply runs (more accurately SpaceX has to deliver 20,000 kg to the ISS) to the orbiting laboratory by 2016. A date that is likely a cause for concern for Orbital as, under CRS, they are also required to deliver a similar weight – by the same deadline. Recent events however have cast doubt on Orbital’s ability to do this. On Oct. 28, 2014, the booster that Orbital had developed for use on CRS – failed. Resulting in a massive explosion which enveloped NASA Wallops Flight Facility’s Mid-Atlantic Regional Spaceport’s Pad-0A. The Antares launch vehicle, the Cygnus spacecraft perched atop it and about 5,000 lbs worth of cargo bound for the ISS – were all lost. After the accident, Orbital opened an investigation into the root cause of the disaster. To date it appears that a turbopump on one of the two Aerojet Rocketdyne AJ-26 rocket engines failed. Orbital has announced that it is planning to use another engine on Antares and that it will likely not use any more of the 40-year-old AJ-26 engines on the rocket’s next flight – which Orbital hopes to conduct in 2016. Please correct me — ULA only sells rockets to the US Govt. If Orbital wanted an Atlas V, would the contract be with Lockheed Martin Commercial Launch Services? Where did you get the cost for an Atlas V at $100 million? A recent Atlas 541 was over $150 million. That is incorrect, as demonstrated by the recent launch of WorldView-3. Not sure why you switched out the 541 for the 401 variant noted in the article – but that explains why the costs you mention are higher. The 541 has a larger fairing as well as four Aerojet Rocketdyne solid rocket boosters. The intelligence community is the central customer (and big funder) of the satellite. It wasn’t until June of this year that approval was given to allow commercial use of the best imagery. The Mexican government Mexsat-2 scheduled for next year is the only true commercial payload I see past present or future fot the ULA. There are 3 contenders, not just one, and as of now noone knows who will be the winner, not even Orbital Sciences itself, but SpaceX is one of least likely options in a competition – mostly due to monopoly concerns. There are no available Arianes or Atlas Vs for spring 2015. That leaves maybe a Starsem Soyuz from France and Falcon 9s. I bet dollars to donuts that the falcon is it. The can and have juggled cores around to adapt to changing needs. With the introduction of competition from lower-cost launch providers and the increasing costs of ULA launches year-over-year, increased attention has been paid to the amounts ULA has received for US government launch contracts, and for its annual government funding of $1 billion for launch capability and readiness. In particular, an uncontested US Air Force block-buy of 36 rocket cores for up to 28 launches, valued at $11 billion, drew protest from competitor SpaceX. SpaceX has claimed the cost of ULA’s launches are approximately $460 million each, and has proposed a price of $90 million to provide similar launches. In response, former ULA CEO Michael Gass claimed an average launch price of $225 million, with future launches as low as $100 million. I suppose if you want to clump together everything and just divide like that, sure. The Capability contract is the government equivalent of being able to say “We want to have you available when we want, and have the ability to bump someone else in the manifest if we need to put something up sooner than expected.” It’s a Service Level Agreement for access to space. Just like internet hosting providers, that costs a bit. They want the level of service, so they pay the cost. By contrast, SpaceX is concealing the real cost of their launches. They’re operating in cashflow mode, which is business as usual for Silicon Valley. It’s known as a Ponzi Scheme in the finance industry, though. As a privately owned company there is no insight into how much things cost, where the money is coming from, and how much of it is coming in. That can’t work in the space business? Worked pretty good for Bernie and he hasn’t got half the circus-appeal of Musk, does he? Well, yes. That’s why it is a bulk purchase. If you want to adjust it to 28 flights, allocating a double cost to the Delta IV launches, OK. The booted out ULA boss, Gass, gives a figure of $225mill average per launch. SpaceX says they will do it for $90mill. Plus that $1bil per year “Capability” contract is real. It simply can’t be dismissed as a cost. Yeah, I can consider my housing costs as just mortgage and taxes, and just ignore my utility payments simply because they are necessary so they shouldn’t be counts. If ULA launches 10 times per year, that adds $100mill to each quoted cost. Its a real cost. When Gass said the the 37th core might get “as low as” $100mill, that does not include the extra $100mill “capability” fee. Jason…Really? Ponzi Scheme? Circus appeal? I think you need to review your own “Commenting Rules” addressing ad hominem style responses, not to mention “check your ego”. Not sure who Jason Suggs is – but he isn’t me. You should check your facts before blindly lashing out at someone. Bruers: “I think you need to review your own “Commenting Rules” addressing ad hominem style responses, not to mention “check your ego”. “your own commenting rules” – refers to SpaceFlight Insider and me. So my comment was “founded.” Given Mr. Bruers essentially attacked someone for no reason at all – my response was more than fair as it’s pretty clear to anyone who read it who he was referring to. Mr. Bruers has since apologized. I think you might want to read things all the way through – before offering advice on what it takes to be a moderator. If you really hate SpaceX, ask yourself why. Comparisons to a Ponzi Scheme are crazy: a Ponzi Scheme is fraud; what SpaceX is doing is delivering real cargo into space for the most open, complete and available price in the space launch industry. In fact they are to be commended for what they are doing. What is happening–but has apparently escaped some pundits–is that the space launch customers are now turning to the SpaceX competition and saying “you should be more like SpaceX in price, performance and and openness.” It is a revolution in space launch services that will improve all of the competitors who step up to the challenge. So far, SpaceX CRS launches cost about $120M per launch, with the extra cost going to SpaceX operations in-orbit to dock the Dragon. I would be interested in knowing whether the cost they quote to Orbital is closer to their advertised $60M or their CRS $120M. As for proven launch records, nothing beats ULA’s Atlas V. The only complaint is a somewhat higher price and the use of the Russian RD-180. An issue yet to be addressed is launch schedule. SpaceX has yet to prove themself able to maintain their contracted launch dates with any regularity. If they take on 2 more CRS launches, how will that affect the station’s resupply schedule? “SpaceX CRS launches cost about $120M per launch, with the extra cost going to SpaceX operations in-orbit to dock the Dragon.” That may need to be clarified. That is not the Falcon 9 LAUNCH cost, that is the MISSION cost. It includes a SPACECRAFT and its operation. As to the Atlas, it is not “somewhat” higher cost, it is vastly more expensive. Also don’t forget that the Atlas V had a glitch that caused the upper stage to cut out 4 seconds early, shortening the fuel supply of its government satellite. The Falcon 9 1.1 and its Merlin 1d engines have never had a failure. As to records, both Atlas V and Falcon 91.1 have lofted the same number of engines into space. By the end of the year, SpaceXs main stage engines fired will dwarf the RD-180s. As to schedule, SpaceX has been launching at a higher pace than Atlas. From the same pad no Atlas in 2014 spaced closer than 40+ days. SpaceX launched twice in less than 3 weeks. Yale, what about the failed engine restart of F9#1 or its out of control spin during reentry? Or on CRS-1, when one of the 9 Merlins failed, and the upper stage failed to relight causing a complete loss of the Orbcomm secondary payload? ULA has never lost a payload in flight. So really, we have two main contenders right now in the US: ULA and SpaceX. SpaceX purports to be cheaper, but could be operating in cashflow mode like most tech startups and artificially lowering their costs. We’ll see when they start EELV missions and the cost is public record. A ULA Atlas V 401 config is about $100M. ULA is much better launching on time than SpaceX. ULA has only ever delayed due to weather. We all know SpaceX’s issues with their helium feed lines and tank leaks. all this info is on spacelaunchreport.com/falcon9.html. Including much more info. The fact is that SpaceX is a huge force in the industry forcing everyone to adapt and become better launch providers lowering the cost for everyone. This is GREAT news! But this childish fanboy bickering between the two sides, when clearly there’s pros and cons of each, needs to stop. I said nothing about the Falcon 9 1/Merlin 1c. They are very different beasts. The lost engine was on that rocket. As it was the (discounted) secondary payload was not boosted because NASA required a 98% assurance not the actual 95%. The EXPERIMENTAL relight of the second stage of the 1st F91.1 was AFTER the payload was delivered, different then the wrong orbit the Atlas V premature shutdown caused. “From Cape Canaveral last Sunday evening, the Air Force, in conjunction with United Launch Alliance (ULA), launched a “massive, secret spy satellite” according to a CBS report, the 351st Delta launch since the program’s maiden flight in 1960. “Designed to be launched like a satellite and land like an airplane, the second X-37B Orbital Test Vehicle, built by Boeing for the United States Air Force’sRapid Capabilities Office, is an affordable, reusable space vehicle. The U.S. Air Force’s launch of the next secret mission by its unmanned X-37B space plane has been officially delayed to mid-November. “The Atlas V launch that was scheduled for lift-off on Thursday morning has been delayed one day until Friday 24th August due to a technical issue. The launch window opens at 4:07 EST (8:07 GMT) and extends for 20 minutes. There does not seem to be an edit capability. From Aviation Week in 2007:ocean surveillance spacecraft were fired into the wrong orbit June 15 when the 200-foot-tall Atlas V rocket they were riding on stopped firing too early in space following launch from Cape Canaveral, Fla. The top secret satellites separated safely from the malfunctioning booster, however, and have enough rocket propellant to continue their mission, an official said on background. Who are the three contenders? And who gets to decide who gets the flights? Monopoly concerns? At this point I would think that price and safety would rule? I could see NASA not wanting Spacex to fly. Do to added rick of a second launch failure. It does not take a rocket scientist to figure out who the eligable candidates are to assist with the recent unfortunate loss in the last orbitalCRS mission. The real question is who is ready and could effectively get the cargo to the ISS and its crew safely? Yes ULA can do this but it WILL cost over double what SpaceX can do it for. If we look into other factors such as reusability and getting more bang for your buck…again SpaceX comes out in the lead. Also consider that a Falcon 9 is manufactured fully in the US Merlin engine and all making it a even more sound choice for any of you patriotic folks. The only thing in question is reliablitiy which ULA trumps SpaceX on based on time and a proven track record. Unfortunatly this is something only time will tell for SpaceX and the road is and will continue to be paved with challenges and hurdles to jump through. I truly enjoy seeing a small privately owned company being as succesful and aggresive as SpaceX has been. I presume what we are seeing now is only a glimpse of the change of humantiy and space flight. I don’t work for this site, no. Sorry for the confusion, I forgot about the identical given names. I had a long post written to explain things, but evidently some wayward keystrokes ate it. Brief it is, then. People are taking all the costs / payments of a launch provider working highly regulated military and government contracts who is required to disclose all costs, and comparing them to the publicly mentioned (not contacted, not final) price of a launch provider that’s been working commercial (“get it there”) missions. They don’t have the real numbers, but don’t seem to see that as significant. It’s comparing apples to a fruit salad, you need to know you’re comparing like for like. We’ll get more insight as SpaceX moves into regulated government launches, but right now we don’t have the insight to tell what the real costs are, if and where costs are transferring from and to. You can’t spread things around like that on a Federal Acquisitons Regulations governed contract, and there are hugely burdensome recordkeeping and reporting requirements because all costs and processes have to be documented, justified, stored, and kept up to date. Jason Rhian, I do not understand your game plan here. You state that you received word about a story and yet do not give details about where you got this story. The two major parties involved as you point out would not talk to you. So are you making this story up…. Hey fellas. I’ve apologized to Jason Rhian privately, and now I’d like to do so publically. My comments were misdirected, and entirely inappropriate. Lesson learned about letting ones emotions run away unchecked. Given how full the SpaceX launch schedule is, this is not terribly surprising. Interesting that Orbital is expecting to have Antares flying CRS payloads again in Q1 2016. Have they announce which engine they will use?